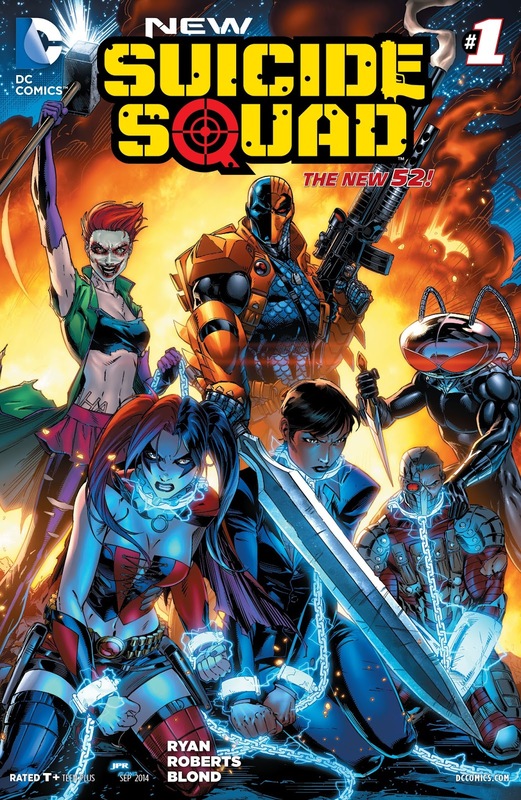 I read the first issue of this series when it came out with the renumbering of the Suicide Squad series. I remember really liking it but I never got around to reading any of the issues that followed. So this week when I picked up my weekly issues from my local comic shop I decided it was time to catch up with the first trade. This volume of Suicide Squad begins with a new head of Task Force X Victor Sage,assuming shared control with Amanda Waller. And as his first order he decides that the team isn’t imposing enough so he introduces two new members. Deathstroke and Joker’s Daughter, neither of which is fitted with the usual bomb to keep them under control. Immediately Waller is leary of the new members knowing that Deathstroke is only loyal to the amount he is being paid and Joker’s Daughter is completely insane. Even though he has no idea how Suicide Squad works and he has no information on what the actual mission is, Sage pushes forward with the new teams mission in Russia. A mission that goes about as well as you would expect from a team of criminals and psychopaths. I really like the rivalry that begins to develop early in the series between Harley, the former girlfriend of The Joker and Joker’s Daughter, an unknown girl who where’s the Joker’s face as a mask after finding it in the sewer. As much as the rest of team tries to keep them focused they end up fighting amongst themselves more than with their true adversaries. This is almost mirrored in the constant political posturing between Waller and Sage as the missions start to go sideways. Where this book suffers though is in the art. It ranges from being as good as the best early Image Jim Lee art to being as bad as most of Rob Liefeld’s art. Often making the variance from one panel to the next. But then again what did I expect when some of these 8 issues have three or more artists on them. On the whole I really liked this trade, I just wish that DC would show a little faith in their lesser known titles and put better artistic talents on them.